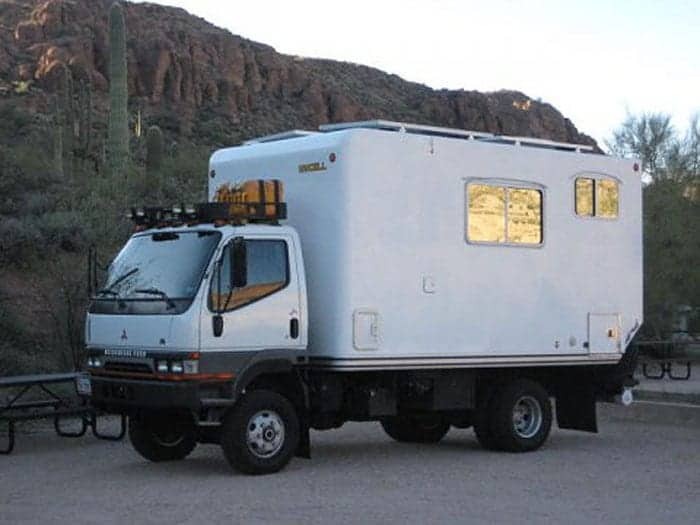 Plenty of folks have a recreational vehicle, but not so many own an “expedition vehicle”. 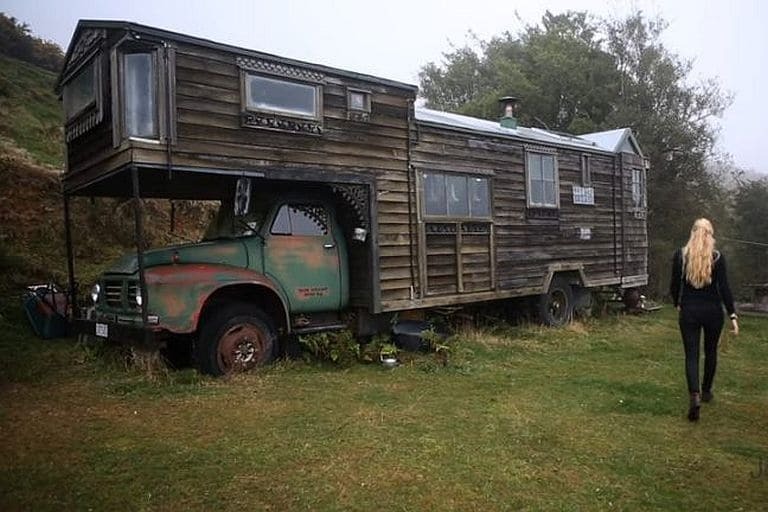 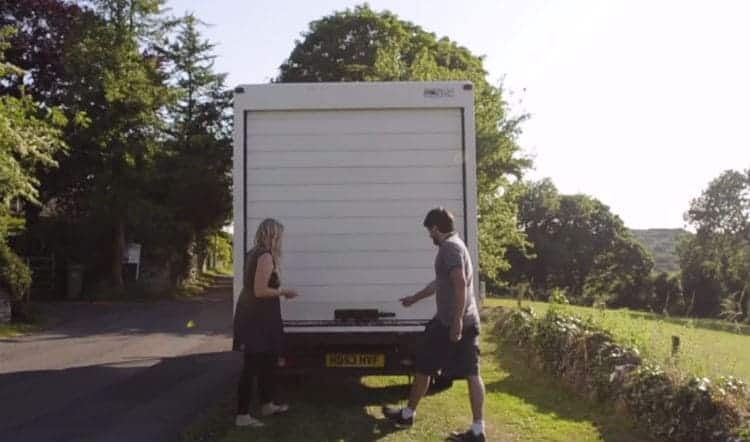 John isn’t like most people however, and his house truck certainly stands apart from most DIY projects we’ve seen. 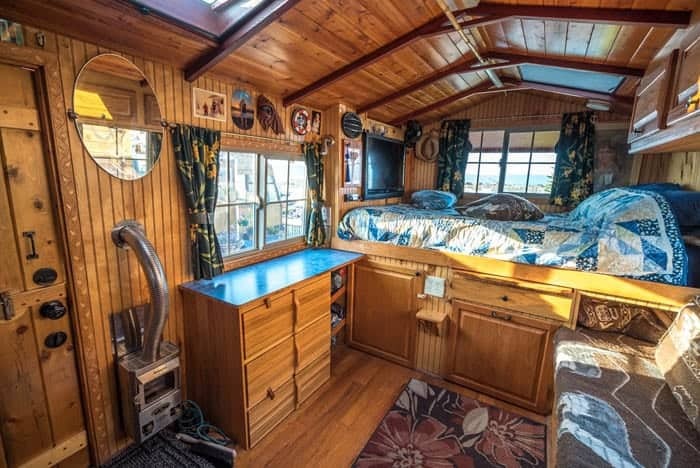 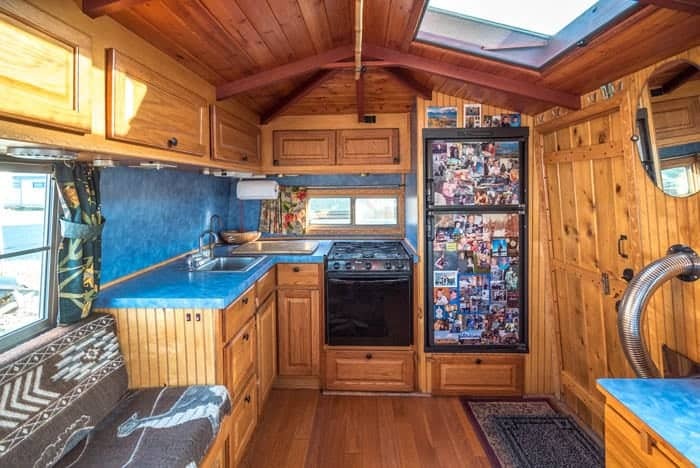 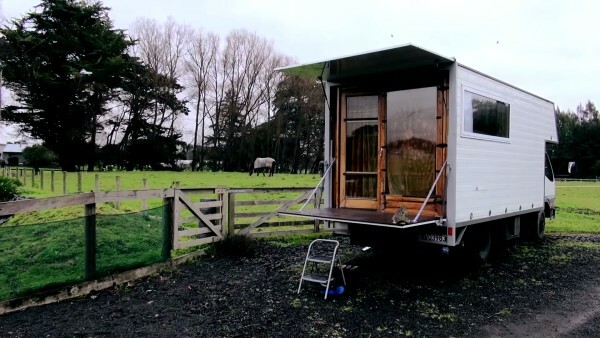 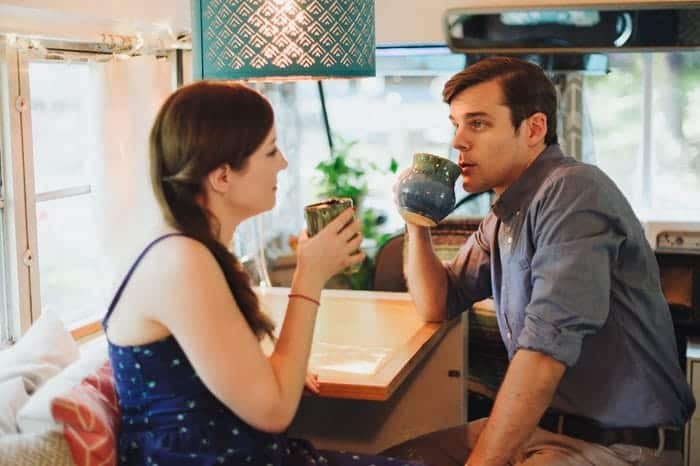 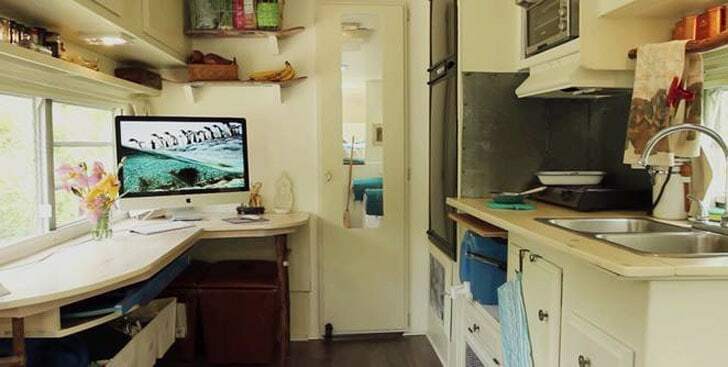 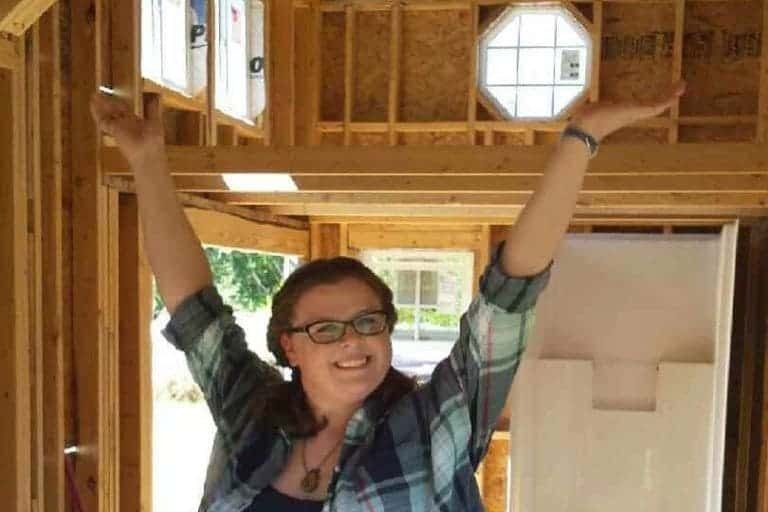 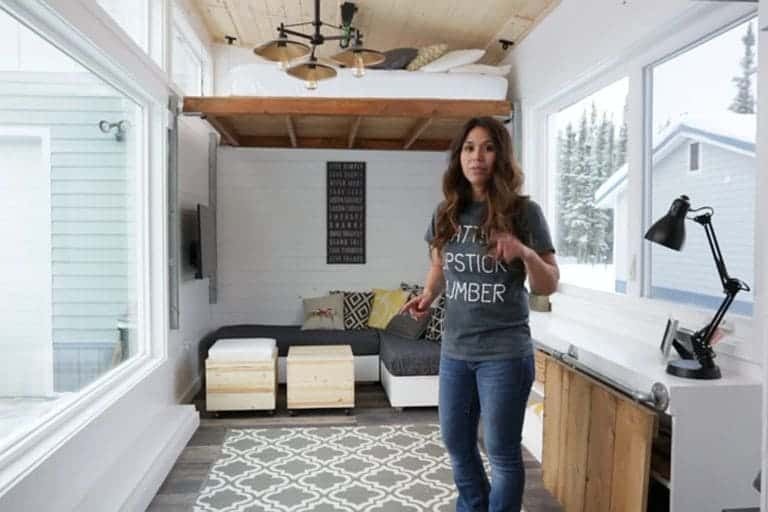 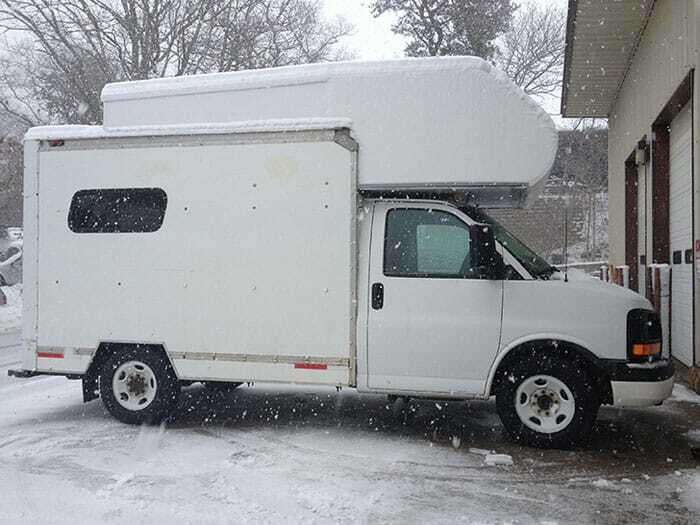 He built this beauty in just four weeks, so you can imagine he has a fair amount of experience under his belt, as evidenced by his other permanent home, an RV that’s been converted into a sort of cabin mashup. 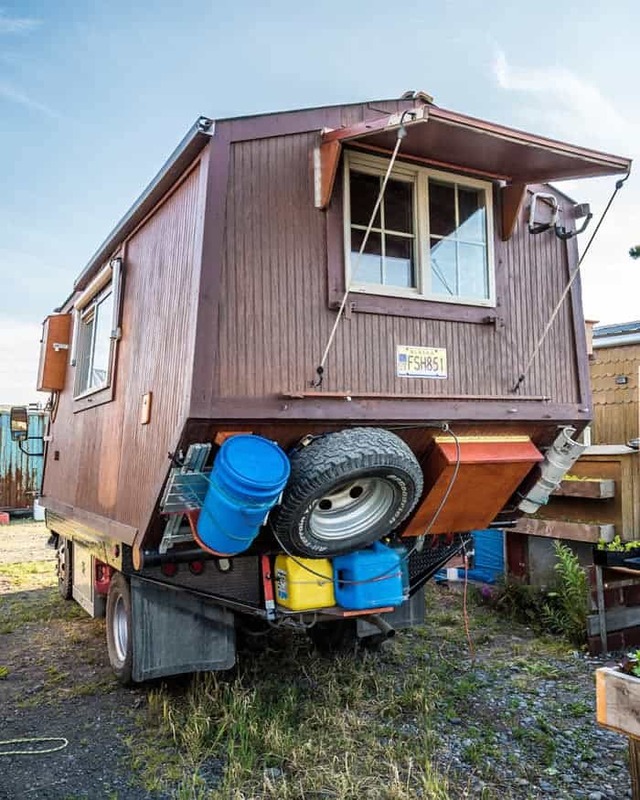 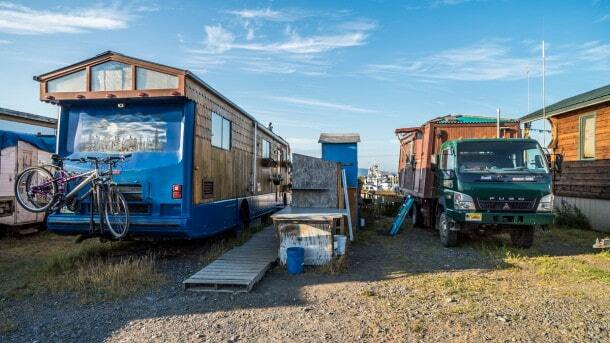 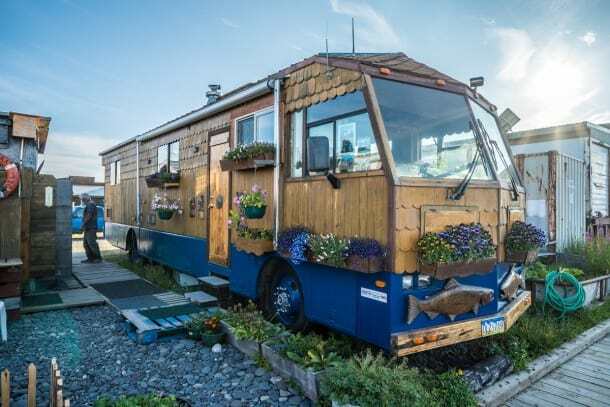 When he’s not relaxing in Homer, Alaska where the larger “Retro Renovated RV” home is located, he takes the “Adventure house truck” on the road, and over the years he has been from North America to South America and everywhere in between collecting experiences along the way. 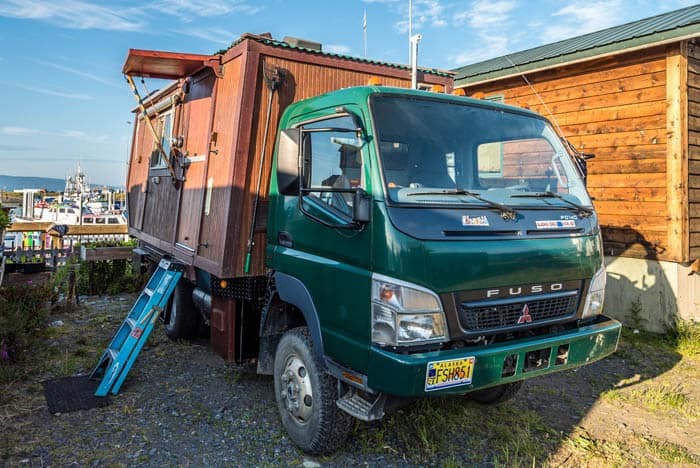 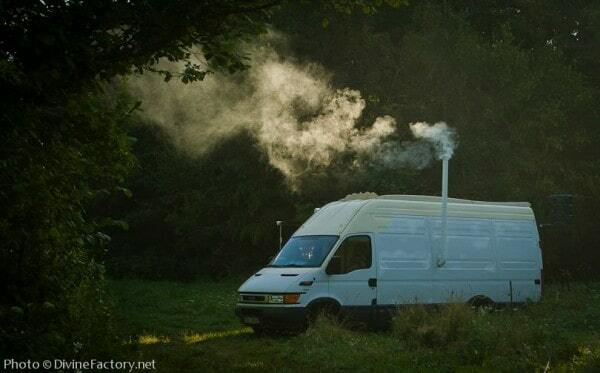 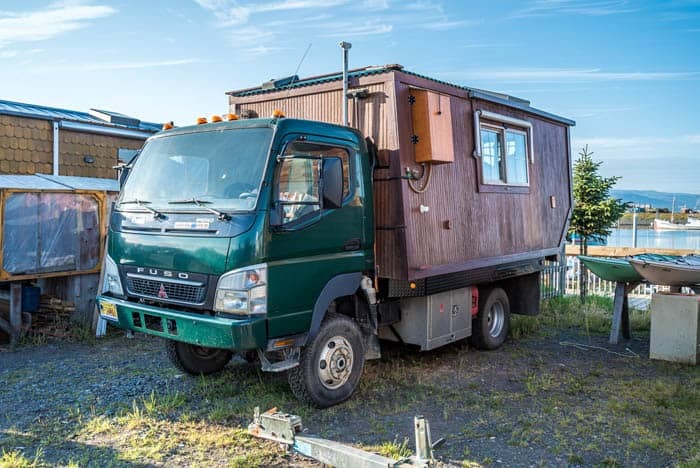 It’s built on a Mitsubishi Fuso platform, and has it well outfitted for not just comfort, but survival. 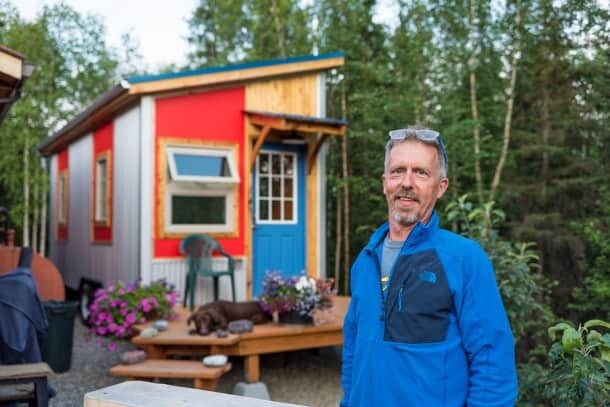 Living in a harsh environment like Alaska means you need to be prepared, and John has all his bases covered. 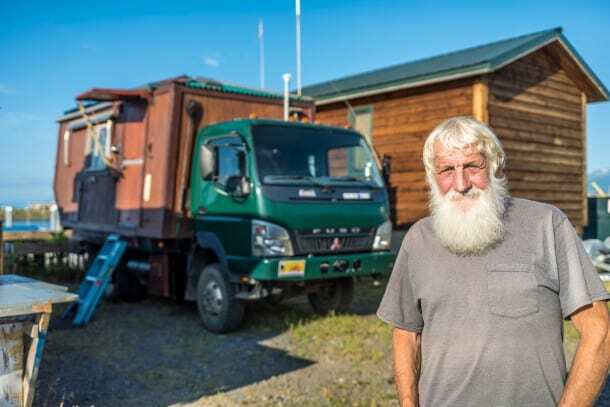 Watch the video below to learn more about his incredible story and you’ll realize just how talented and humble he is.